Jess and her staff were great to work with. Sarah was so nice to have at the wedding reception. She kept us on our timeline and allowed me to enjoy the day!! WOW! I cannot thank Jess enough for all she did for me and my wedding. From day one of meeting I knew she was the perfect fit for what I needed. She kept me calm and grounded, never stressed me out, never said I was asking too much, and did anything and everything I needed. We met many times throughout the process (sometimes just to chat) and the emails were endless. She never stopped working hard for me. She was flexible with my budget and schedule. The day of my wedding Jess was given a daunting task of setting up my very specific and detailed wedding, as well as making sure all the vendors showed up on time. 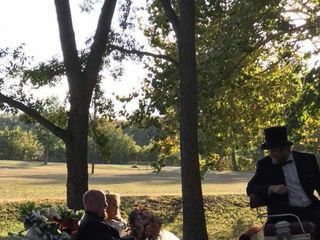 With the help of her husband and friend she hired on, my wedding was perfect! I owe it all to Jess and can undoubtedly say that she is the best of the best in the business. You will not regret hiring Jess for your wedding! I owe the happiest day of my life to Jessica del Toro. She swooped in and took control, turning my chaotic, half-cocked, murky notions of an event into the most wonderful tribute of Love a man could ever hope to make to his lady. Jess and Chris were truly amazing. I could not have asked for a better crew to help me with my big day. 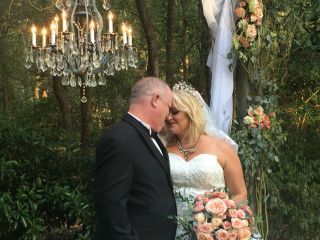 Thank you both for all that you did to make my big day a success.-Sonia C.
Our day was absolutely wonderful thanks to Jess! Jess and her team made everything run exceptionally smooth. Our event was beautiful and I really appreciated Jess' flexibility on last minute changes. Thanks Again for the best day ever! Thanks for the review Jessica! I’m so glad we could help make your day run smooth. 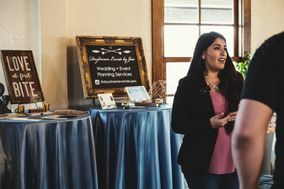 Choosing to hire Jessica as our wedding planner was probably the easiest decision we made in the whole wedding planning process! Our ceremony and reception ran so smoothly and I have no doubt in my mind that it was because of her. Jessica is super professional, takes initiative to get things done, and truly cares about her clients. As a bride, all you want is for your vision to become reality on your wedding day and Jessica made that happen for me. 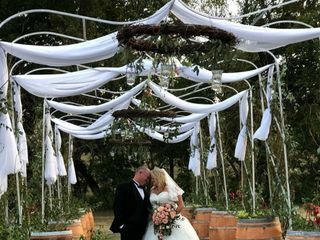 She tied together all the loose ends of my wedding, as well as, gave me great ideas to make it even better! 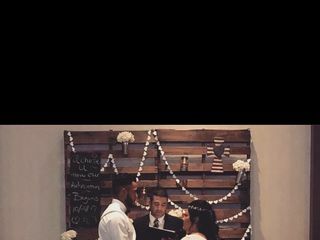 We're so blessed that she was able to be apart of our special day. Jessica did a fantabulous job coordinating and finding the venue for us. Well organized and available whenever we needed her. She also included an outstanding DJ and great photographer in her package. Overall I would rate my experience a 10/10. It was a pleasure to work with Jessica, she was very gracious and always responsive to any questions or concerns regarding the event! Jessica stepped in and helped when I had NOOO idea as to where to start. She helped get me a last minute photo shoot and we used those pics at our wedding. I've had so many tell me everything was just BEAUTIFUL. All in all this was the one event that I didn't stress about at all. She was on top of everything making sure I had everything that I needed. She's always a text/call away. She goes with what you want and will suggest things when you aren't sure. My hubby isn't a person that compliments many people/services but he loved the help that Daydreams by Jess provided us with. I couldn't be happier with my wedding planner, Jessica. 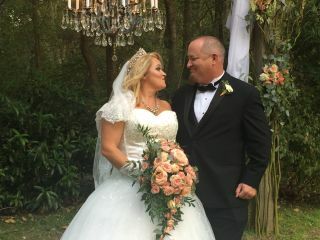 She went over & above, & made our wedding BEAUTIFUL and stress-free! She handled everything for us, I didn't have to worry about anything! Even my guests & other vendors were complimenting her & her work. She rocks, & I will absolutely use her again. I can't say enough nice things about Jess!! We scrambled around planning our own wedding until right up to the last two weeks. We realized that we could plan, but we couldn't execute. Our big day was shaping up to be a big mess. So we found Jess. She stepped in and guided us with her years of experience. She found us a DJ within our already strapped budget. My only regret is not hiring her sooner! My advice is to call her before making a single plan. Seriously. She's that great! Jess was such a great help planning my wedding last year. 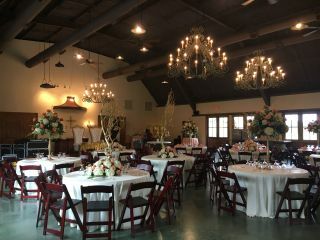 We needed a day of coordinator and she did a great job working with the vendors, the venue and our wedding party. I definitely think her and her team were a big part of my wedding going off without any issues. She was very polite and friendly and always available when we had questions or needed her to help us with something. I definitely recommend Jess and her team. Jess provides excellent service! She's quick to respond to emails or calls and is always there for you. Jess and her team goes above and beyond! You can count on her to help create your theme and decor which is glamorous, beautiful and tastefully done. If you are considering a planner I would say to definitely hire Daydream Events by Jess! Enjoy your wedding day instead of worrying about the details.